For heavy industry related companies, we designed and developed the most next level free industrial website templates. It could be construction, steel, gas, oil, engineering, mining and other factory work, these templates are perfect for everyone. Not only that, whichever you go with, you can also customize it to fit your business precisely. After all, every tool is simple to use and edit for your convenience. Go the extra step and create a website that will unlock a whole new specter of opportunities for you. New B2B deals might be coming your way regularly solely because of the modern and neat site you own. Instead of spending time on website development, we did all the hard work for you to focus on growing your firm instead. The time has come to skyrocket your company. 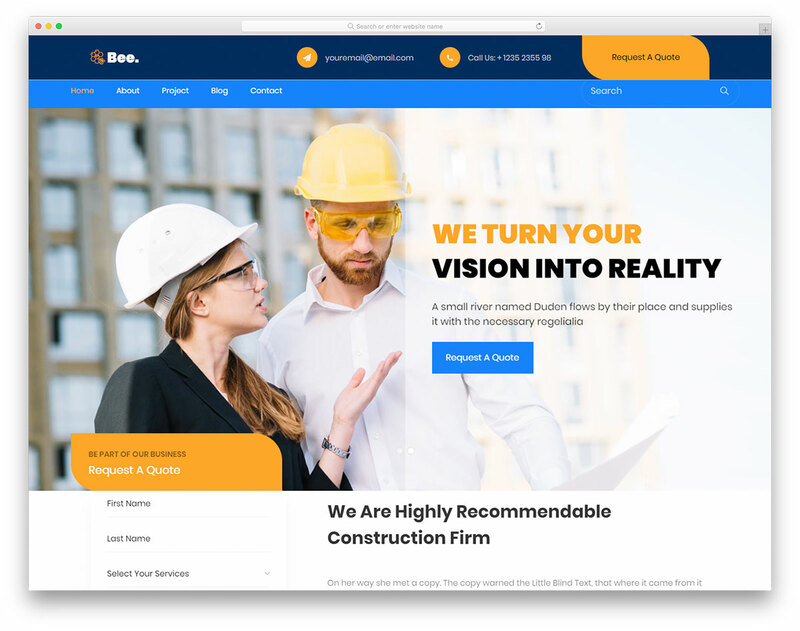 Bee is a professional, easy to use and free responsive construction company website template. Building and architecture companies are welcome to use Bee, too! 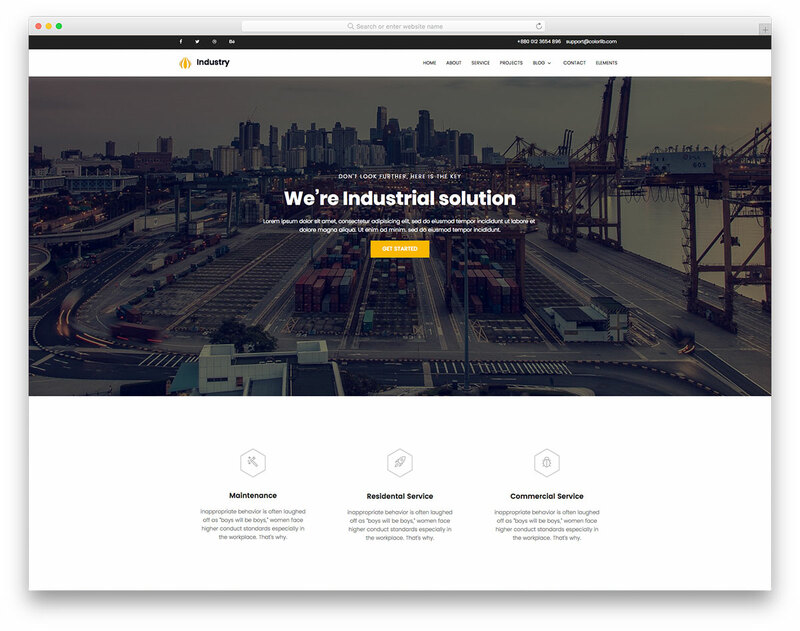 Industry is a modern, convenient and professional free industrial website template. Show your completed projects, advertise your services and promote your company on a larger scale with a professional website.